The cockpit of a YT-series light freighter. The cockpit of a starfighter or small starship was the main, and in the case of one-being craft, the only place of command-and-control on all such vessels in the galaxy. From here, ships' pilots could direct the sublight maneuvers of their craft, execute landing and takeoff maneuvers, dock with other vessels, and, in the case of hyperdrive-equipped ships, set navigational courses. In starfighters, this was where the main weapons controls were located, along with a targeting computer, sensor scopes, and other such systems. The viewports on ships were usually made of transparisteel, and could be weaker points compared to rest of the ship's hull. 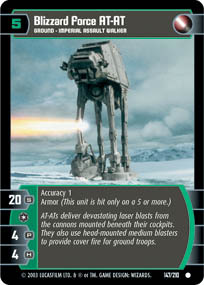 The term also applied to land and atmospheric vehicles, particularly on walkers and repulsorcraft. Many ground vehicles had an open cockpit, such as the All Terrain Recon Transport (AT-RT) walker. The capital ship equivalent is known as the command deck or the bridge.